Tailored to your specific needs we employ a variety of pressures and techniques to alleviate sore muscles and promote healing and relaxation. Escape with a relaxing massage for two. 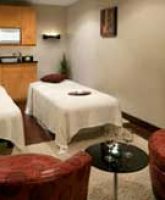 Enjoy any one of our many therapies simultaneously in a private setting with a loved one or friend.